The Swiss ZEW Survey Economic Sentiment was worse than the previous month (Previous [-14.3], Actual [-30.8]), while the Traders’ attention remains on SNB Quarterly Bulletin. Therefore, traders should be cautious with their trading decisions because will be volatile during the upcoming announcement. 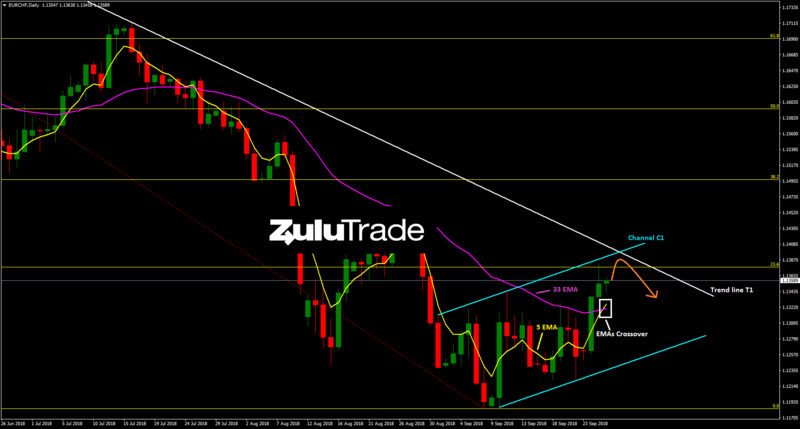 Regarding the daily view, EURCHF is moving within the upper side of the channel (C1). In addition, there is a crossover (5/33 EMA) which may indicate a mid-term bullish reversal. Heading to H4 timeframe, the pair failed to violate the Fibonacci 23.6% retracement level to the upside, which proved as a major resistance. However, the price is bouncing back, while Stochastics is following the trendline (T2). 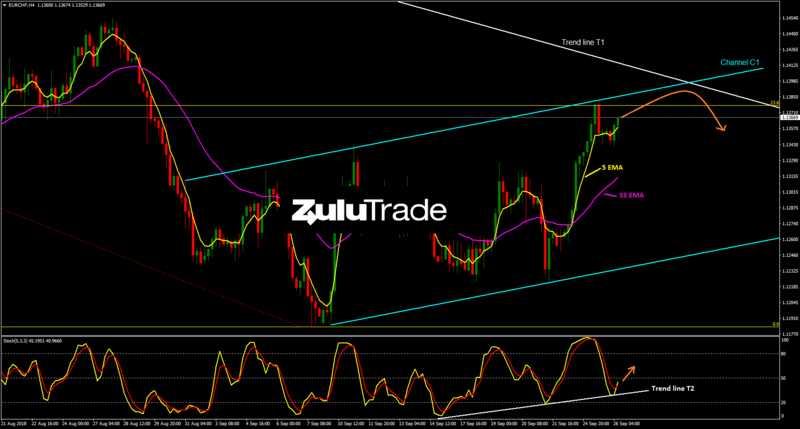 Overall, the setup remains apparently bullish while trendline (T1) is still valid as a potential target. If the price approaches the 1.14 level, then the market maybe offers a decent selling opportunity. On the other hand, a breakout of the trendline (T1) to the upside may boost the price higher towards the next target around 1.143 level.